There is really nothing quite like loading your family into an RV and heading out on an adventure. 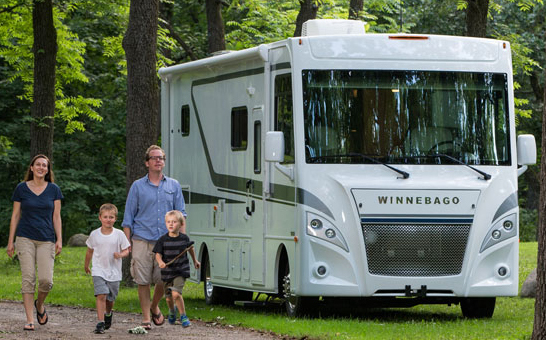 With your ‘hotel’ on wheels, a full refrigerator, and the open road, an RV makes the journey as much a part of your vacation as the destination. When renting an RV in Iowa look local; you won’t find Cruise America, USA RV, or El Monte RV Rental in Iowa. Lichtsinn RV in Forest City, Iowa offers both motorized and towable RV rentals learn more here. 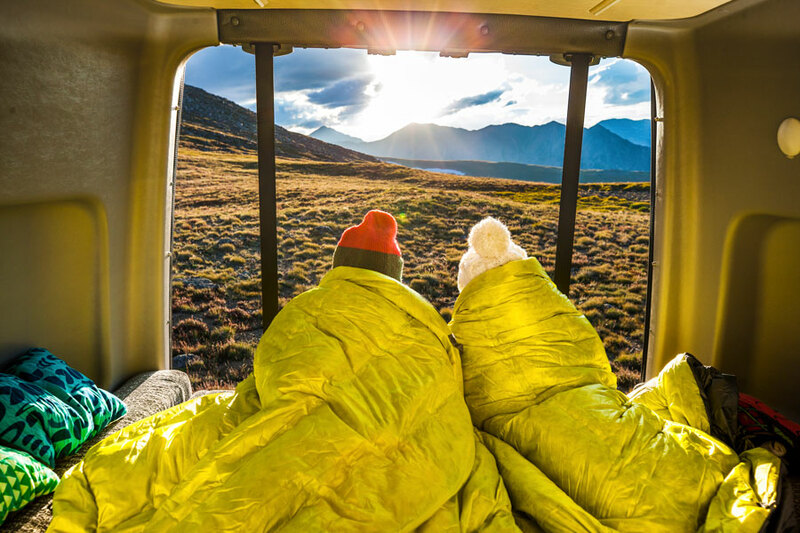 When planning for your big RV adventure, it’s important to be honest with yourself about how much room you need in the RV as well as how large an RV you are comfortable driving. Motorhomes fall into three main categories: Class A, Class B, and Class C.
Class A motorhomes are a single unit, built on a custom chassis. Resembling a bus, they range in size from 21-40 feet. Class B motorhomes are built on a panel-truck shell. Small, just 16 to 22 feet, and very mobile, these are a terrific option for couples or families who will also supplement their adventure with a tent. Class C motorhomes are built on a van frame with a wider body set behind the front cab. Most recognizable by the over-cab sleeping area in the front, these RVs can be 21-35 feet in length. Also take note of pet and towing policies, what amenities come with the RV such as bedding, cooking utensils and cookware, and cleaning supplies. How Much RV Space Do You Need? Though it is tempting to pack as many people as you can into your RV rental, you need to be aware of both the safety and comfort of everyone during your vacation. Two questions you should ask before renting an RV are 1) how many people can sleep in the RV and 2) how many seat belts are in the RV? The numbers don’t always match. A 32 foot Class C may sleep 8 people comfortably (10 if some are children), but have only 7 seatbelts. Expect to spend 30-60 minutes learning the features of the RV. From dumping the waste and rolling out the awning, to extending the slides and turning on the power, there is quite a bit you need to know before you hit the road. Don’t be intimidated! Take notes, ask questions, and even request a test drive of the RV before you leave. The RV is your vacation journey, but the campground is your destination. Where you stay, and the amenities you find there, are an important consideration when planning an RV trip. RV Length: Some campgrounds can’t accommodate large RVs, be sure to inquire before booking. Available Hook-ups: Electricity, water, sewer; not all campgrounds offer all three at each campsite. Campground Amenities: Do you want your campground to offer a pool and activities, or are you looking to ‘get away from it all’ on a more ‘rustic’ site. Kampgrounds of America (KOA) are a franchise of privately owned campgrounds which adhere to the same quality standards. So, while each KOA is different, you can be assured that all will have similar amenities and campsite types. KOA offers three distinct types of campgrounds: Journey, the roadside oasis as you travel to your destination; Holiday, an upgraded camping experience with deluxe patios and activities; and Resort, a vacation destination unto itself with large pools, staff-led activities, and even restaurants for those nights you don’t want to cook. Planning a stay at KOA? Review the campsite descriptions and campground map carefully before booking to insure a site compatible with your RV. Want a specific area of the campground? Make your request in the booking notes. National, state and county parks have fewer amenities, but their natural location and outdoor activities are usually the big draw. When planning a trip that includes these parks, it’s important to plan – especially if you plan to visit during peak camping season (the end of May thru early September) or during a holiday. While some locations do offer campsite pre-booking, many also have first-come, first-serve campsites available. Another important note is that national, state, or county parks usually offer electricity at RV sites, but your water and sewer are located elsewhere at the campground. Often you will fill your fresh water tank on arrival at the campground (and use water sparingly during your stay) and dump your waste tanks as you leave. Most national park campsites are available to book via Recreation.gov. Many state parks can be booked using Reserve America. County parks in Iowa can be reserved on mycountyparks.com or by phone. Will an RV change the way you road trip this year?